DrinkWire is Liquor.com’s showcase for the best articles, recipes and reviews from the web’s top writers and bloggers. 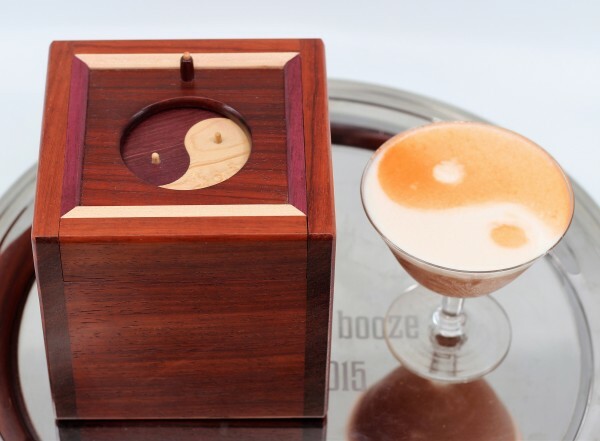 In this post, Boxes and Booze offers a Yin Tang cocktail. In Taoism, the ancient philosophy of life which originated thousands of years ago, the contrasting paths of life and nature naturally flow in and out of one another, the way night turns to day. This concept is represented visually in the Taoist symbol Taijitu, commonly referred to as the “Yin Yang”. 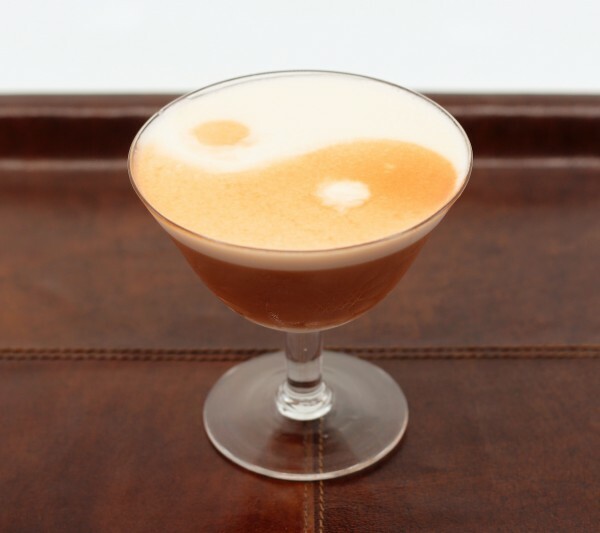 A special posthumous collaboration between two friends inspired this cocktail, which balances bitter, sweet and sour like the yin and the yang. The Way begot one, And the one, two; Then the two begot three And three, all else. This ancient description of the meaning of Yin Yang, from Lao Tzu, seems awfully like a cocktail recipe, no? Clearly we are considering a Negroni here, the ultimate three part cocktail made from gin, Campari and sweet vermouth. 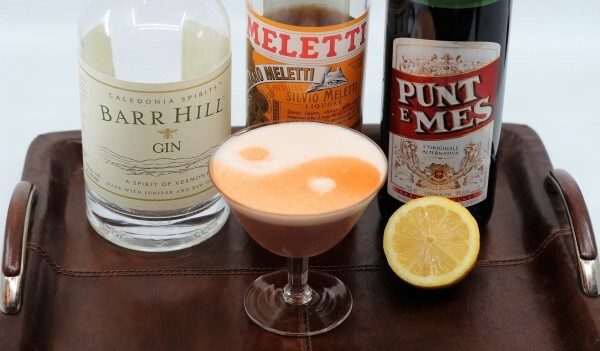 The brilliant brain behind Portland’s bustling bar Clyde Common created a version which uses a bit more gin, the lightly bitter aperitif Aperol, and the bittersweet Italian vermouth known as “Punt e Mes”, which means “point and a half” and describes its composition of one part sweet to a half part bitter. He called it the “Bittersweet Symphony”, a name which rings true and feels all too apropos for this toast. It would have been enough, but I felt that this tribute deserved more balance and I wanted a bit of sweet and sour to complete this pairing. I continued the cycle and used the specs from Washington DC’s Farmers and Distillers “Negroni Sour” to achieve what I envisioned for this symphony. I’ll raise a glass to this master artist. He left behind plenty to puzzle over with appreciation. Dry shake egg white and lemon juice to froth (no ice), then add the remaining ingredients and shake with ice to chill. Strain into a favorite glass and complete the cycle.